In the ongoing saga of the Royal Mail’s epic London meltdown, a survey by The Guardian has concluded that London’s postal delivery service is pretty much worse than anywhere else in the country, including the remote Hebridean island of Eigg. The newspaper posted 111 first-class letters at a King’s Cross post office, addressed to locations around the UK, taking note of when each was delivered. Letters to Eigg (population: 67) arrived within one postal day, and most of the letters sent to other non-London locations also arrived within a day of posting. Conversely, many of the letters addressed to London addresses took a week or more to arrive, if they arrived at all. So what does this tell us? Nothing that we didn’t already know. This Londonista has only received one postal delivery (of about 20 letters posted over a one month period) in the entirety of September so far, and we’re sure that this level of service is not atypical for many Londoners. One of the more obvious aims of any industrial action is to cause a noticeable disruption of service, and it’s clear that the CWU’s ongoing strikes have been a resounding success in this regard. Whinging aside, this does raise the question of whether Londoners will be the first to witness a potential revolution in the UK’s 21st century postal service. With more and more businesses talking of giving up on the Royal Mail altogether, it seems entirely possible that any large-scale switch to alterative carriers will happen first in the location in the most desperate need of a better service. Of course, handing business to the Royal Mail’s competitors would seem to be counter-productive to the CWU’s aim of preventing job cuts, but what would we know? Either way, it will be interesting to chart the state of London’s postal services as we move into the second decade of the 21st century. 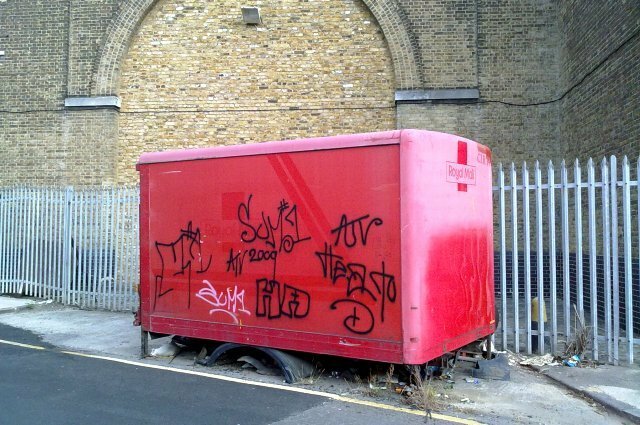 In a couple of years’ time, will London still have the worst postal service of any major world city? Picture taken from LoopZilla’s Flickr photostream under a Creative Commons licence.